In 1916, Danish engineer Jørgen Skafte Rasmussen (1878-1964) founded a factory in Zschopau, Saxony, Germany to produce steam fittings. Although Karl Benz had patented a gasoline powered 4-stroke automobile almost 30 years earlier, fuel shortages during the First World War led Rasmussen to experiment with a steam powered car (Dampf-Kraft-Wagen): the project was later abandoned for cost reasons. In 1919 he built a 40cc. 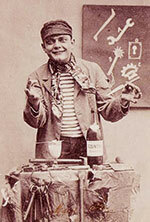 2-stroke gasoline engine intended for use in toys (Des Knaben Wunsch, or “the boy’s dream”). The engine was originally developed as a stationary power unit but it soon found its way into vehicles made by other manufacturers, its reliability earning it the nickname Das Kleine Wunder-“the little marvel”. In 1921 Rasmussen began producing a series of motor powered bicycles and by now the DKW initials had established themselves as the company name, which was finally trademarked in 1922. 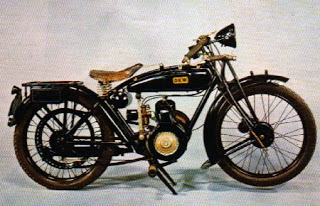 The first notable DKW motorcycle was the 1925 E206, powered by a two stroke single cylinder 206cc., 4hp. engine which was incorporated into the frame structure. In 1928, when motorcycles of up to 200 cc engine size were exempted from road tax and could be ridden without a license, DKW reacted more rapidly than other manufacturers and reduced the displacement of its E206 to 198 cc. This new DKW E200 model had the newly created segment of the motorcycle market to itself for many months, and these two models were among the most successful products in the company‘s history. During the great depression of the 1930’s DKW suffered a massive decease in production and in 1932 they merged with the Audi, Wanderer and Horch companies to form Auto Union AG, a merger still represented today in the 4 interconnected rings of the well known Audi logo. Although all four brands continued to build vehicles under their own names and logos, the technological development became more and more centralized with some Audi models employing engines by Horch or Wanderer. At the 1933 Berlin Motor Show, German Chancellor Adolf Hitler announced two new programs: the construction of a People’s Car (which would be realized in the Volkswagon Beetle) and a state-sponsored motor racing program to develop a “high speed German automotive industry”. 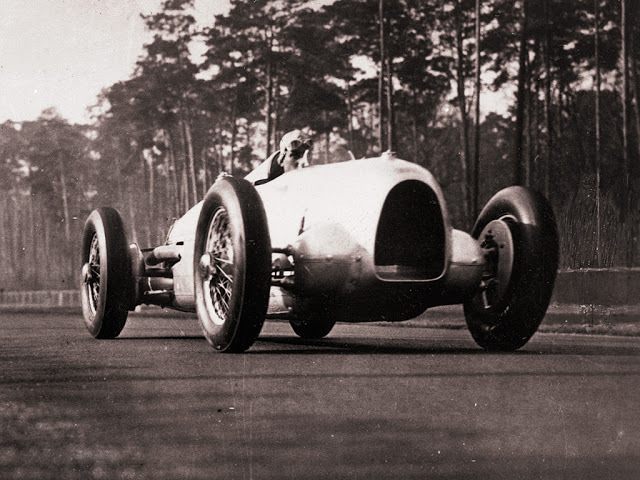 After meeting with racing driver Hans Stuck and designer Ferdinand Porsche -both of whom had dealings with Auto Union- Hitler agreed that it would be better for two companies to develop the project. 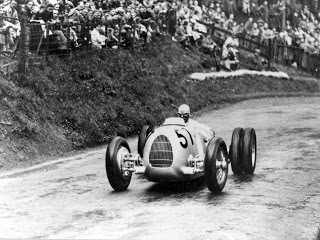 The Auto Union produced Grand Prix racing cars types A to D from 1934-1939: from 1935-1937 Auto Union cars car won 25 races. Although primarily focused on the Auto Union racing program throughout the 1930’s, DKW continued some consumer auto and motorcycle output. Various small DKW cars produced at this time gained popularity in Northern Europe, and their design has been continued in the modern Saab. 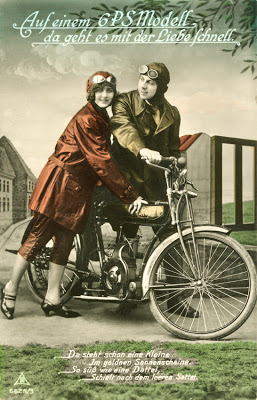 In 1937 they released NZ series of 250cc and 350cc motorcycles. 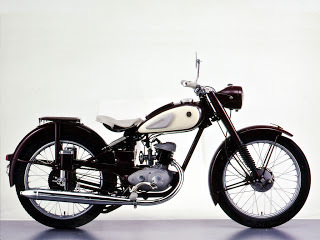 The DKW RT 125, first shown to the public in 1939, was the masterpiece of DKW‘s chief designer Hermann Weber. Civilian production was interrupted in May 1940 following the outbreak of war, and the plants began development of military vehicles including modified versions of the NZ350 and RT125 for the Wehrmacht. 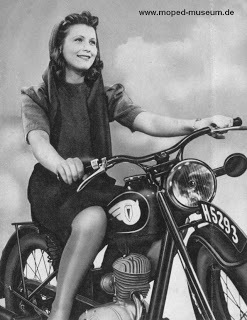 During the War DKW engineers also created the Cyclemaster (essentially a redesigned 1938 Sachs Saxonette auxiliary unit) which later became widely popular in England. The factories were severely damaged by fighting in 1943 and ’44 and ceased production: after withdrawal of the U.S. Army in June 1945 the Zwickau and the Saxon plants of Auto Union (Horch and Audi plants) were occupied by the Red Army and fell under the Industrieverband Fahrzeugbau (Industrial Association for Vehicle Construction, or IFA), an overall reorganization of the East-German motorcycle and car industry. 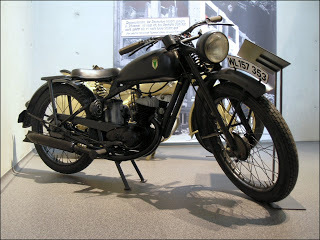 IFA quickly began working on a IFA-DKW branded version of the RT-125 at the Zschopau works in Saxony, and in 1950 began production of a modified version featuring telescopic front forks and a rear suspension. 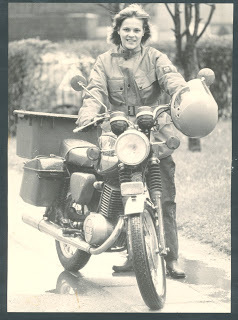 The RT125 designs were also given to Harley-Davidson in the US (Hummer) and BSA in the UK (Bantam) as reparations after the war. The Soviets took plans, tooling and even several dozen personnel to MMZ in Moscow and to a factory in Kovrov, and produced copies of the RT125 as the M1A Moskva and K-125 respectively. 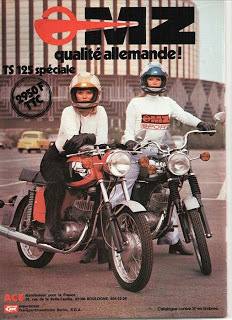 WFM of Poland made a modified version of the RT125 (under SHL 125 and Sokół 125 brands): later Yamaha in Japan copied the RT 125 as the basis of the Yamaha YA-1. 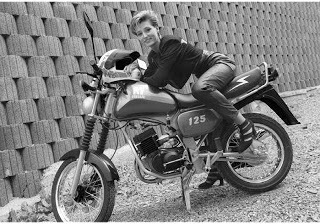 The RT 125 is probably the most copied motorcycle of all time. 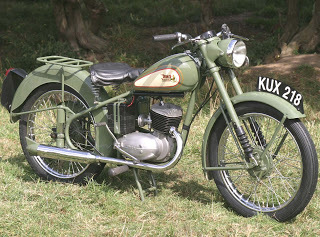 IZHMASH, which had used DKW designs in many of their models, released the re-branded NZ350 as the IZh-350C in 1948. After legal proceedings taken by the West-German Auto Union and DKW, the initials were dropped from DKW-IFA and they continued production under the IFA brand. 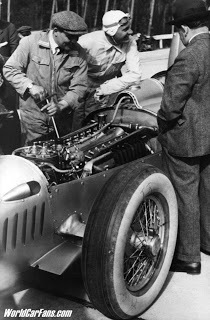 In 1953, IFA recruited Walter Kaaden to take over the racing department from Kurt Kampf but he soon found his factory IFA racers were being outclassed by Bernhard Petruschke riding a private ZPH (Zimmermann-Petruschke-Henkel) machine based on a pre-war DKW heavily modified with a new disc valve carburetor and a crankshaft using stuffing rings to boost the primary compression ratio. The East German government frowned on the competition between the two and persuaded Zimmermann to reveal his engine’s secrets to Kaaden: the result was the 1953 IFA racer. Kaaden began to develop the expansion chambers invented by Erich Wolf and fitted on the IFA racers since 1952. The net result of this development was that by 1954 Kaaden’s two stroke 125cc racing engine was producing 13 bhp, and it was further developed to produce 25 bhp at 10,800rev/min. Kaaden’s MZ two strokes have influenced motorcycle racing for decades, and his designs were widely copied in the sixties by Japanese manufacturers Yamaha and Suzuki. 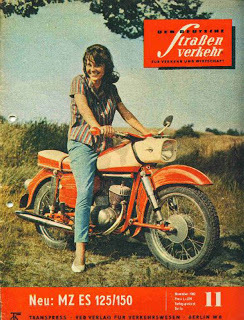 In 1956 the company was renamed again as the Motorradwerk Zschopau (MZ) with an eye towards export capabilities (it was nonetheless still under IFA control). 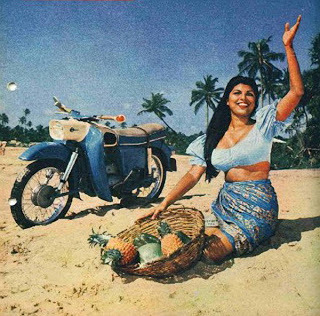 The BK 350 was one of the first models to bear the new MZ badge -although some were still produced with the IFA logo- and it remained in production until 1959. With Earles leading link front forks the BK 350 was a beautifully designed flat twin two stroke with shaft drive similar to the Soviet IMZ/KMZ 4 stroke machines, but its commercial success was restricted by the depressed state of the market. The following year saw the release of the MZ ES250 with both front and rear swingarm suspension, excellent riding qualities and a torquey engine. 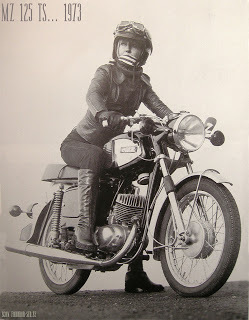 1962 saw the beginnings of the new ES125 / ES150 series, and through the present day it has had the highest production rates of any German motorcycle model. The ES heralded the end of the popular RT series, and was the first motorcycle to feature an asymmetric low beam headlight pattern in the classic streamlined shell that would later become the hallmark box light of the brand into the 1970’s. In 1983 the 2-millionth motorcycle rolled off the Motorradwerk Zschopau conveyor belt, an MZ ETZ 250. 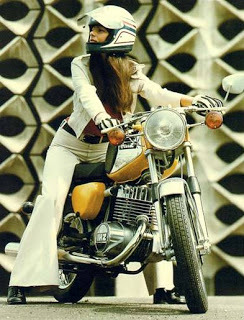 With disk brakes and 12-volt electrics the MZ had reached the modern standard in motorcycle design, but with the collapse of communism the company quickly went into decline. It was privatized in 1990, and three years later it had gone into receivership with the ETZ patent being sold to the Turkish firm Kanuni ,which continued producing models 251 and 301. Kanuni produces several models of motorcycles today, including the RX125 based on MZ designs. The remainder of the company was re-branded as MuZ which was again purchased by the Malaysian conglomerate Hong Leong Group in 1996. The “u” was dropped again in 1999, but restoring the old MZ label wasn’t enough to rescue the operation: in 2000, MZ re-introduced the RT125 but reception was cool. In a further attempt to revitalize the brand MZ designed and built its first large-displacement motorcycle in 2004, the MZ 1000S. Production continued into 2007 but by 2008 the company’s Malaysian backers withdrew their financial support after years of continuing losses and on December 12, 2008 the MZ factory in Zschopau closed, ending 88 years of motorcycle production. In March 2009, MZ was purchased by the Germans Martin Wimmer and Martina Häger, along with former GP rider Ralf Waldmann. The company was renamed Motor Zschopau GmbH and currently produces hybrid electric scooters. DKW and Auto Union came under Daimler-Benz ownership in 1957, and was then purchased by the Volkswagen Group in 1964. The last DKW car was the F102 which ceased production in 1966; after this the brand was phased out. 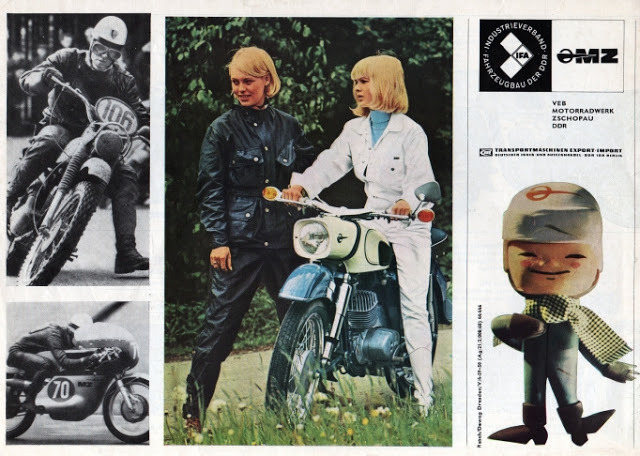 DKW – A Brief History from the DKW Owners Club G.B. You are doing a great job. 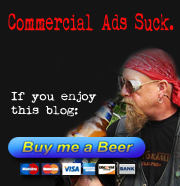 It is the best blog I have ever seen. Have posted it 3times in the last two days. Very good company history I was especially impressed by the BK 350 model produced 1956-1959. This was a poor mans BMW in many respects. 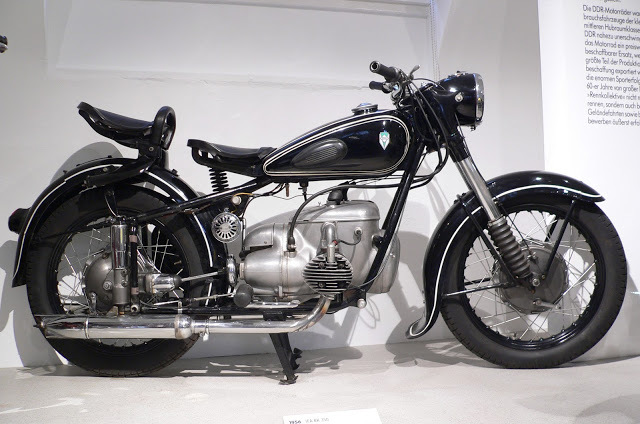 The DKW Auto early history is remarkable and some sucessors as the 2 Stroke Saab Autos were also interesting.I owned a Harley Hummer 125cc motorcycle as a Teenager I would love to have that Bike today. Thanks Jim.